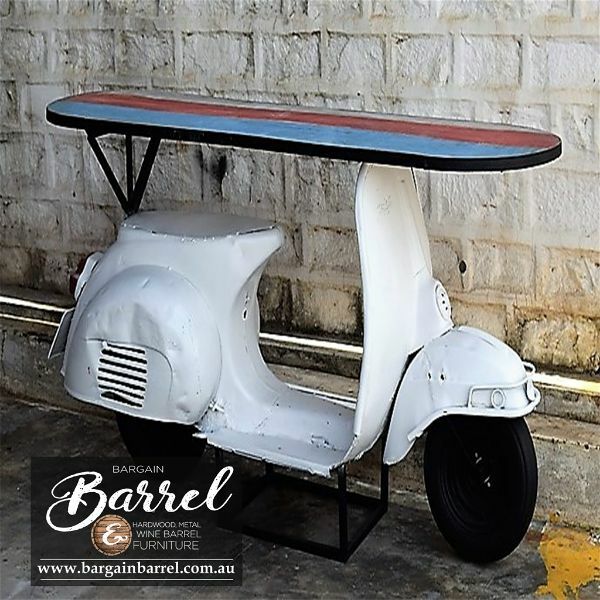 Our signature range of Scooter Tables are made from quality metal and timber to the finest detail. 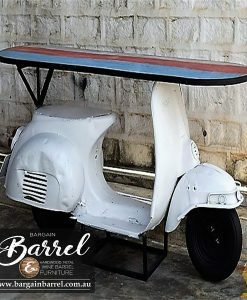 These solid old style scooters make great side tables that are safe, comfortable and classy. 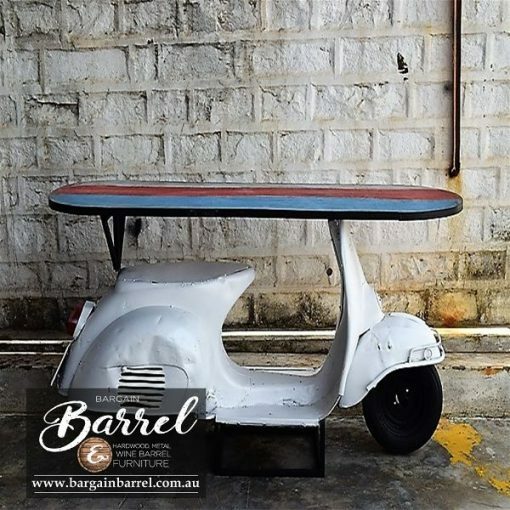 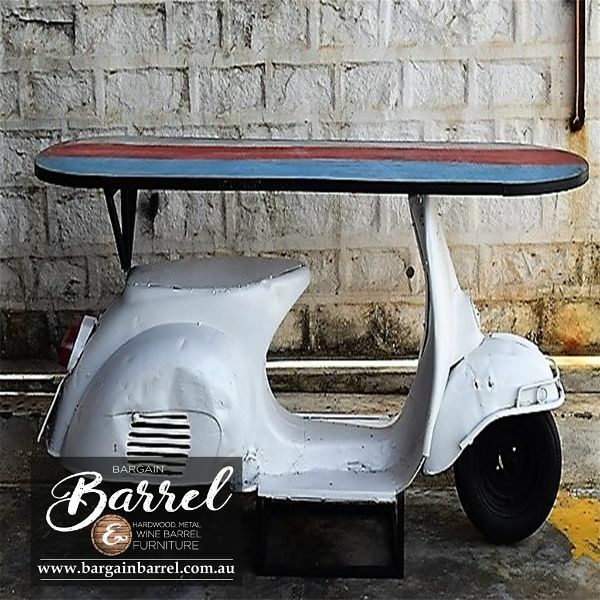 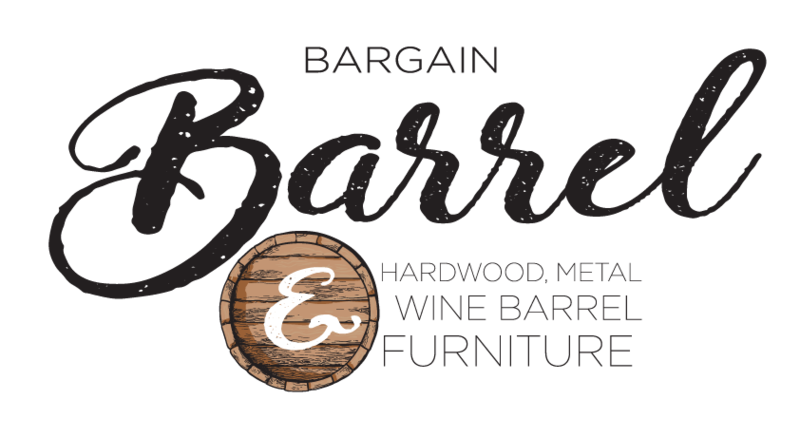 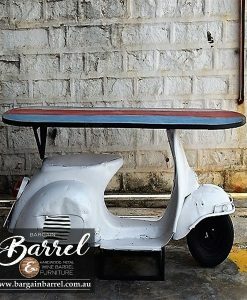 These Scooter Tables are perfect at a very affordable price with an abundance of character. 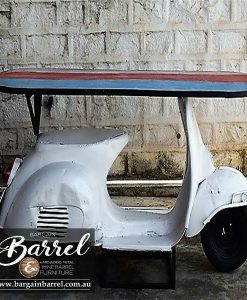 Check out our two colour designs white and black, both subject to availability.